The National Digital Learning Council (NDLC) was established in September 2012 as a response to one of the headline recommendations made by the Independent Review of Digital Classroom Teaching Task and Finish group in 2011. These recommendations were published in the report Find it, Make it, Use it, Share it - Learning in Digital Wales. The Council membership provides expert and strategic guidance on the use of digital technology in teaching and learning in Wales, and members serve in a voluntary capacity. Their remit is to provide expert guidance, external to Welsh Government and also to promote and support the use of digital resources and technologies by learners and teachers. Janet Hayward hails from Pontlliw, near Swansea, and was educated at Penyrheol Comprehensive School, Gorseinon and at Cardiff University, graduating with a BSc Joint Honours degree in Computer Science and Psychology, followed by a PGCE in Primary Education. 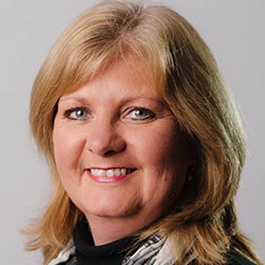 Janet began her teaching career on the Longleat Estate in Wiltshire in 1990 and is now headteacher at Cadoxton Primary School, Barry. The school is a Regional Training Centre for Apple in partnership with Barry Island Primary School and also shares a Lego Innovation Studio. The school has gained the Naace 3rd Millennium Learning and Community Impact Award as well as the TES Outstanding ICT Partnership Award. In 2011, Janet chaired the Digital Classroom Task and Finish Group and has chaired the National Digital Learning Council since its inception in September 2014. In 2013, Janet co-chaired a report into the future of Computer Science in Wales. She is also a member of the Schools Practitioner’s Panel. In June 2014 she was awarded an OBE for Services to Education. Chris has been headteacher of a large urban primary school taking the school to great success in ICT. He has been a professional adviser to Welsh Government. Now executive headteacher of three special schools with 240 staff he is leading on the building of a £43 million state of the art learning community in South Wales. It will co-locate a special and mainstream comprehensive. The school will be driven by cutting edge technologies that, amongst other features, support up to 5,000 wireless devices at any one time. He was a member of the Welsh Government’s Steering Group for ICT. Iain is the Head of Online & Learning at BBC Cymru Wales. He is passionate about digital learning and is responsible for the BBC’s Bitesize and iWonder content in Wales. He is keen to see big drama brands like Doctor Who used in a learning context and he is working with partners across Wales to develop a new kind of digital public space where media archives are opened up for educational use. Prior to the BBC, he worked in the mobile content industry and with IBM’s media consulting business. Tom is a senior lecturer in Computing Science at Cardiff Metropolitan University, having completed his PhD and post-doctoral research at the University of Bath. He is a 2014 HEA National Teaching Fellow for his work in computer science education. Tom co-chaired the Welsh Government’s 2013 review of the ICT curriculum, represents Wales on the UK Forum for Computing Education (led by the Royal Academy of Engineering) and sits on the UK Digital Skills Task Force. He is Chair of Computing At School (CAS) Wales and sits on the National Assembly for Wales Cross-Party Group on Science & Technology. He is also a Trustee of BCS, The Chartered Institute for IT, British Science Association and the Campaign for Science & Engineering. The National Digital Learning Council exists to oversee and provide advice to the Welsh Government on the Learning in Digital Wales Programme. Mark Jones has been actively involved in Education ICT for over 20 years. He is currently headteacher at Ysgol Gyfun Gymraeg Llangynwyd and is a former deputy head of Treorchy Comprehensive School and assistant head of Ysgol Gyfun Gymraeg Plasmawr. He was Leader of ICT in four secondary schools and has also worked as an IT Adviser for the County of Cardiff. He is a former member of the NDLC and also represents headteachers on the Bridgend Strategic ICT Group. Ty Golding has a number of years’ experience of teaching at every level of primary education, including nursery. Currently he is the headteacher at Barry Island Primary School, recognised as a very successful school for their innovative approach to pedagogy, technology and engagement within the community. Barry Island Primary School has recently been identified as an ‘Excellent’ school by Estyn with numerous areas of sector leading practice. Ty was a member of the original Ministerial Task and Finish Group that produced the report – Find it, use it, make it, share it: learning in digital Wales. Ty also enjoys coaching the Vale of Glamorgan Schools District Rugby Team; winning the national DC Thomas Cup twice in the last 3 years. Gareth is currently headteacher of Cwmclydach Primary School in Rhondda Cynon Taff. He previously worked in Aberdare, and prior to that taught for eight years in London. Cwmclydach have won the National Digital Learning Award for the past two years as a result of their innovative, collaborative approach to the delivery of Educational Technology learning experiences. Current projects involve the redesign of learning environments to maximise the benefits of their use of technology and the Professional Development of staff across the school and local authority. He is also an accredited Hwb+ trainer. Originally from Alltwalis in Carmarthenshire, Mathew went on to study a Psychology Degree at Cardiff University and then completed a primary PGCE before entering the teaching profession. After eight years as a teacher he went on to become a primary school headteacher. The opportunity arose to work for the university of Wales in teacher training, and where he has worked since 2010 as a senior lecturer. He is currently the Lead in Technology Enhanced Learning for the SWWCTE and passionately develops and promotes the use of technologies to enhance classroom pedagogies, with trainees and staff across the centre. Catherine has been teaching for twelve years, eight of which as a deputy headteacher in three different school settings. 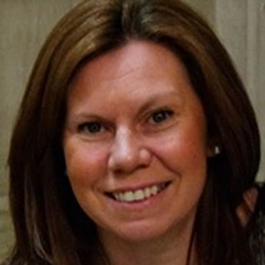 She is currently deputy headteacher at Glan Usk Primary School in Newport, a lead practitioner school and a regional centre of excellence and has extensive experience as strategic leader for assessment, English and digital learning. She believes that the use of digital technology can excite, challenge and empower both children and staff and values the positive impact technology has on learning and on whole school communication, organisation, and management. She is passionate about sustaining a united vision for improving learner engagement and outcomes through the use of digital technology. Darren is a teacher of ICT/Computer Science and ICT co-ordinator at Gowerton School, Swansea. Since appointed, Gowerton School has achieved success in the NAACE 3rd Millennium Learning Award, Highly Commended in the Becta Excellence Awards and sector leading (in use of ICT) by ESTYN during its most recent inspection report. An educator who is passionate about innovative technology being used within the classroom and beyond. A promoter of CS within the secondary phase and above. Professional adviser to Welsh Government, providing expert practitioner feedback into the design of Hwb+ secondary developments. Qualifications include: BSc Computer (Networks), Microsoft Certified Systems Engineer & HNC Computer Studies. System Leader / Challenge Adviser with GwE regional education consortia in north Wales since its inception in 2013 and is a member of the ICT sub group of the consortium. Siân is an experienced teacher and has worked in the field of ICT in education for more than fifteen years as an ICT consultant in primary and secondary local authorities and as a field officer for NGfL Cymru. Angharad is Head of Sgiliaith, a department within Coleg Meirion-Dwyfor (part of Grŵp Llandrillo Menai) which is funded to support bilingual post-14 education in Wales. A graduate in Psychology from Bangor University, she previously taught A Level Psychology via video-link within schools across Wales, and is particularly interested in bilingualism and technology. 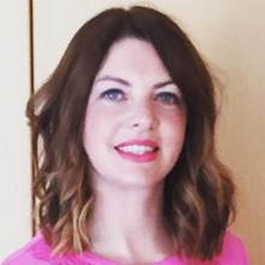 Currently working towards her Master’s Degree in Leadership and Management with the University of South Wales, Angharad is a Beacon Award Assessor for the Jisc sponsored award for the Effective Use of Technology in FE for the AoC following Sgiliaith's success in winning the award during 2013-14. Janice Lane is Director of Learning, Exhibitions and Digital Media at Amgueddfa Cymru – National Museum Wales (AC-NMW) with strategic leadership for Learning and Cultural Participation across Wales’ seven national museums, on-line services and in support of AC-NMW key major projects, including St Fagans National History Museum redevelopment. She is a member of the Senior Management Board of People’s Collection Wales (PCW). Previously Janice was Senior Museums Manager at Glasgow Museums/Glasgow Life with a portfolio incorporating learning, social inclusion, access, public programming, digital media, interpretation, outreach and volunteer development. Huw Marshall has been S4C’s digital manager since November 2012. He is responsible for developing and implementing the channels digital strategy as well as overseeing all of S4C’s online content. He is married to Bethan a primary school teacher and they have two young daughters. He has been the chair of governors at Ysgol Gynradd Gymraeg Cwm Garw since 2013 and is a member of the URDD’s sciences steering committee as well as being a member of the 2017 Bridgend and District Urdd Eisteddfod Working Committee. Simon is a Strategic Director in Estyn. He leads on the development and delivery of Estyn’s advice to the Welsh Government and other stakeholders, including policy advice and survey reports. He also leads Estyn’s work on building capacity including best practice. This includes leading on joint working with other inspectorates in Wales and the UK. Simon has leadership oversight of Estyn’s work with local authorities, including regional consortia and the inspection of post-16 sectors including further education (FE), work-based learning (WBL), careers, adult community-based learning (ACL), offender learning, Welsh for adults (WfA) and youth and community work training. He has strategic oversight of the corporate business of Estyn, including corporate planning and governance as well as corporate service functions. His background is in schools and local authorities, as well as acting as an education consultant for Becta and as co-founder of BlackCat education software. Simon was elected a Fellow of the Royal Geographical Society (FRGS) and a graduate member of the British Psychological Society, both in 1989. Dilwyn Owen is Head of ICT at Ysgol Gyfun Bro Morgannwg in the Vale of Glamorgan. He has guided the school to an ICT Excellence Award as well as being a winner of a Pearson Teaching Award. He is an experienced classroom teacher with over 20 years as a subject leader. Between January 2013 and September 2014 he was seconded as one of the original Welsh Government Hwb Digital Leaders where he worked with schools, local authorities and Consortia across South Wales. Simon is an enthusiastic and dedicated teacher with 20+ years experience in education. Passionate about the use of technology to support learning and teaching with a proven track record as a classroom teacher, school leader and curriculum advisor. As a secondary teacher he was ICT coordinator in school for over 5 years before taking on the position of assistant headteacher with strategic responsibility for ICT. Simon left classroom teaching in 2007 to work for Wrexham local authority setting up the local authority e-Learning network. In 2008 he took up the post of Learning and Teaching Advisor for ICT for Wrexham with responsibility for curriculum support and teacher training across all phases. Simon is currently the ICT Strategy Manager for Wrexham Lifelong Learning and Chair of the North Wales ICT Regional Education Consortia group. Jessica Leigh Jones became the first female to win the UK Young Engineer of the Year Award in 2012 for her work in designing a portable electronic foetal contraction monitor. Later that year she received the IET Intel Inspiration Award for Entrepreneurship for her efforts to commercialise the technology for industry use. Jessica is currently studying Astrophysics at Cardiff University and works for the School of Engineering Morgan-Botti Lightning Laboratory as the Technology Translator. This unique laboratory is Europe's only University-led lightning research Centre focusing on the direct effects of lightning strikes to aircraft and other structures. Tom Crick is a Senior Lecturer in Computing Science at Cardiff Metropolitan University, having completed his PhD and post-doctoral research at the University of Bath. He is a 2014 HEA National Teaching Fellow for his work in computer science education. Tom co-chaired the Welsh Government’s 2013 review of the ICT curriculum, represents Wales on the UK Forum for Computing Education (led by the Royal Academy of Engineering) and sits on the UK Digital Skills Task Force. He is Chair of Computing At School (CAS) Wales and sits on the National Assembly for Wales Cross-Party Group on Science & Technology. He is also a Trustee of BCS, The Chartered Institute for IT, British Science Association and the Campaign for Science & Engineering. Robin Williams has 29 years of experience as a primary headteacher in Gwynedd, with 23 of those years at Ysgol Gynradd Llanrug. He has worked for 'Cynnal' (Gwynedd and Anglesey as a curriculum advisor) and as a part time teacher advisor in ICT for 15 years. Over those years, he has seen major developments which have completely changed the way we teach our children. During 2000 - 2001 he worked on ICT assessment materials for ACCAC and the Welsh Government. In 2003 Llanrug Primary School became the first Apple RTC in Wales offering advice and INSET training for teachers and advisors in Conwy, Anglesey and Gwynedd. Chris has worked at every level, in every sector of the education system and has held promoted posts for mathematics, ICT and music. Chris then went on to an extremely successful career as head of school improvement in a local authority working to develop standards in schools in every sector. He has been head of a large urban primary school taking the school to unprecedented success in all areas and in particular ICT. He then went to join a team at the Welsh Government as a professional adviser and was responsible for writing and implementing the ‘School Effectiveness Framework’. To devise the framework, Chris also worked alongside some of the most eminent professors of school improvement in the world. Now headteacher of one of the largest special schools in Wales with 240 staff he has lead on the building of a £43 million state of the art learning community in South Wales. It co-locates a special and mainstream comprehensive on one site. The school is driven by cutting edge technologies that, amongst other features, supports up to 5,000 wireless devices at any one time. He has a vision for pupils of all abilities and needs that encaptures what they can do, what their potential is and what opportunities to succeed can be provided to ensure their success. 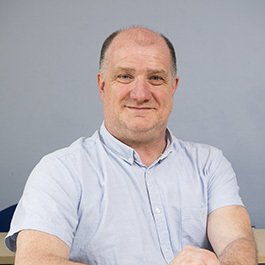 Gary Beauchamp is Professor of Education and Associate Dean Research in the Cardiff School of Education (CSE) at Cardiff Metropolitan University. He was a primary teacher for many years, when he completed his PhD, before moving into higher education as a lecturer at Swansea University. He ran the primary PGCE programme, before undertaking a full-time secondment to Estyn. Following this he moved to Cardiff Metropolitan University where he currently oversees research in the School of Education, supervises PhD students (mostly examining the uses of ICT in educational settings in the UK and beyond) and teaches undergraduate modules on ICT in education. He has published widely in books (most recently Computing and ICT in the Primary School: From Pedagogy to Practice for Routledge), academic journals and research reports, including for the Welsh Government. He has gained wide experience of educational settings in the UK and beyond, including as an external examiner for many universities (including Durham, Cambridge and Edinburgh). He was also a member of the Quality Assurance Group for the Digital Competence Framework. His research interests focus on the use of interactive technologies in educational settings and he is currently leading an Erasmus+ project, with partners in France, Germany, Belgium, Netherlands and Turkey, examining how interactive technologies are used in second language teaching (www.itlit2.eu). Ty Golding grew up in a small valleys town, leaving school at 17 to join the Army. After several years service, followed by an extended period of travelling he returned to Cardiff to study. He has a number of years experience, teaching at every level of primary education, including nursery. He was appointed as the first Head teacher of the newly formed Ysgol y Ddraig in Llantwit Major in 2015. Prior to this, Ty was Head teacher of the first school in the Vale of Glamorgan to receive a double excellent grading from Estyn, with numerous areas of sector leading practice. He was a member of the original ministerial task & finish group that produced the report – Find it, Use it, Make it, Share it: Learning in Digital Wales and is a current member of the Independent Advisory Group; working towards the successful implementation of our national education reforms. Ty enjoys coaching the Vale of Glamorgan district rugby team. He lives in Penarth with his wife and two children, Morgan and Nansi. Catherine has been teaching for fourteen years, ten of which as a deputy headteacher in three different school settings. She is currently deputy headteacher at Glan Usk Primary School in Newport, a pioneer school and a regional 21st Century Learning lead school. She has extensive experience as strategic leader for assessment, digital learning and professional learning. She is the co-author and facilitator of the very successful leadership of ICT programme within the EAS. She also facilitates on a range of training programmes within the consortia which focus on the development of NQTs, effective pedagogy and digital learning. She believes that the use of digital technology can excite, challenge and empower both children and staff and values the positive impact technology has on learning and on whole school communication, organisation, and management. She is passionate about sustaining a united vision for improving learner engagement and outcomes through the use of digital technology. Dilwyn Owen is Head of Digital Competence at Ysgol Gymraeg Bro Morgannwg in the Vale of Glamorgan. The school is one of the Welsh Government Digital Pioneer Schools. Dilwyn has guided the school to ICT Excellence Award and is a Pearson Teaching Award winner. He is an experienced classroom teacher with over 20 years as a subject leader. Between January 2013 and September 2014 he was seconded as one of the original Welsh Government Hwb Digital Leaders where he worked with schools, local authorities and Consortia across South Wales. Paul is a member of the Digital Learning Team at Ysgol Bae Baglan, Port Talbot, Microsoft Showcase School. Graduate of the University of Glamorgan. Previously a subject leader, IT-Coordinator and pastoral leader, he now focuses on staff development and innovative teaching. Experienced in piloting national projects, global collaborations and as a guest speaker at local and national events. 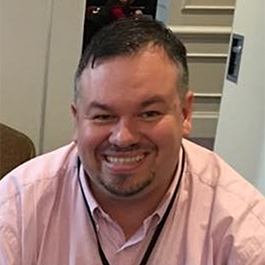 Paul is a Microsoft Innovative Educator Expert, Master Trainer, Microsoft Certified Educator and a Skype Master Teacher. Passionate about encouraging teachers to be brave and innovative, whilst encouraging a passion for technology and an understanding of global and digital citizenship in his pupils. Alison is a teacher with 20+ years’ experience in education. She currently teaches at Cwmclydach Primary School. She graduated the University of Wales, Aberystwyth with a B.Sc. (hons) in Information Science and has always been passionate about the use of technology to support teaching and learning. Cwmclydach Primary School won the National Digital Learning Award in 2012 and 2013 as a result of their innovative, collaborative approach to the delivery of Educational Technology learning experiences. Currently she is leading a Professional Learning hub for Central South Consortia in the school providing training on the the strategic use of digital technology to raise standards in teaching and learning. She is also an external mentor providing support for NQTs. Gareth is currently a Challenge Advisor for the Central South Consortium. Previously he was the headteacher of Cwmclydach Primary School in Rhondda Cynon Taff and led the school in winning the National Digital Learning Award in 2013 and 2014. In 2015 Estyn identified the school’s approach to digital learning as being ‘of high quality and exemplifies very good practice’. He previously worked in Aberdare and prior to that taught for eight years in London. He is also an accredited Hwb+ trainer and a member of the Central South Consortium’s digital strategy group. Kay is the ICT advisor for Ceredigion County Council working to support schools with both the ICT curriculum and ICT as a teaching and support tool. 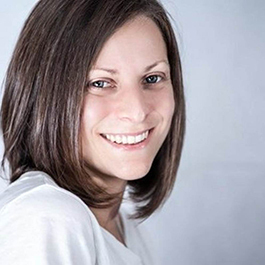 Prior to joining the advisory team, Kay taught ICT for 15 years at Ysgol Bropedr, Wales first 3-19 school. Kay was Head of Department for ICT, teaching both OCR and WJEC at GCSE and A Level through both English and Welsh medium. Kay has also been head of Year 10. Kay is passionate about the role of ICT in delivering improvements in education, engaging learners and opening up access and opportunities for both learners and educators. Kay has been working alongside ERW colleagues supporting schools and teachers to deliver the current curriculum, Hwb+, 360 degree safe Cymru framework and to plan for the introduction of the new Digital Competency Framework. Hannah has an MSc in E-Learning and has been working within E-learning since 2004 and also has experience with managing an FE library and eResources, though her background is in Music Technology. Hannah is currently the E-learning Manager at Cardiff and Vale College, but has also worked in HE and the Voluntary Sector. Hannah was a member of the Task and Finish group which produced the “Find it, use it, make it, share it: learning in digital Wales” report and was also a member of the first NDLC membership. Hannah was also a member of the Welsh Government’s Steering Group for ICT. Simon is a Strategic Director in Estyn. He leads on the development and delivery of Estyn’s advice to the Welsh Government and other stakeholders, including policy advice and survey reports. He also leads Estyn’s work on building capacity including best practice. This includes leading on joint working with other inspectorates in Wales and the UK. Simon has leadership oversight of Estyn’s work with local authorities, including regional consortia and the inspection of post-16 sectors including further education (FE), work-based learning (WBL), careers, adult community-based learning (ACL), offender learning, Welsh for adults (WfA) and youth and community work training. He has strategic oversight of the corporate business of Estyn, including corporate planning and governance as well as corporate service functions. His background is in schools and local authorities, as well as acting as an education consultant for Becta and as co-founder of BlackCat education software. Simon was elected a Fellow of the Royal Geographical Society (FRGS) and a graduate member of the British Psychological Society, both in 1989.